5 offices tend to be dynamic fashion The youngest office for new start-up companies. The trend of choosing the age of the office for interior design is equally important. Because the age is related to the color in the design and how to choose the interior for each space is different. Here are some prominent offices in the world for young dynamic style. Project L'Oréal - New York. Highlights: Reflecting the diversity of 30 brand names is an unbelievably spacious area. From product testing labs and even a virtual reality lab. Project Fila - New York. At the reception desk, the logo of the sportswear manufacturer appears as a solid cast steel fixture. The exterior is also coated with an electrostatic coating. Just to see the living room space is impressive by the outstanding red fire. Project L'Oréal - Mellbourne, Australia. As the sale style Tropical - bring the blue space into the office to decorate. 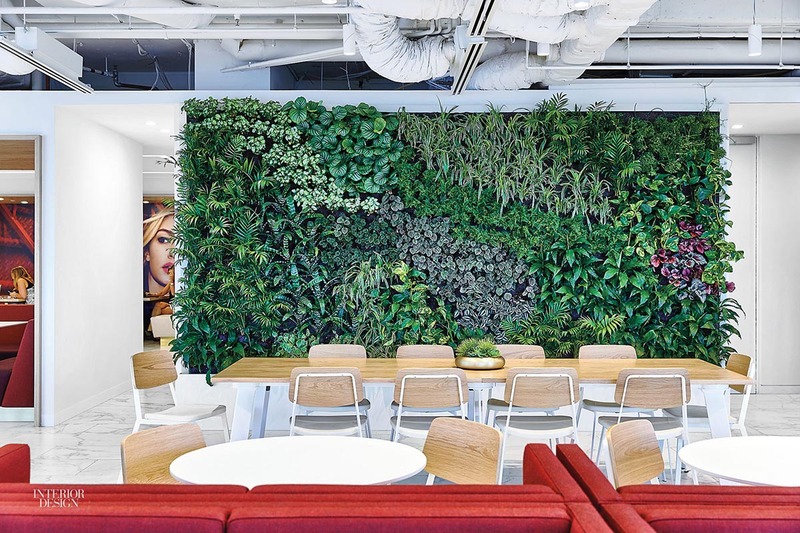 This is a perfect combination of plants together to form a large picture frame between the office. Stitch Fix Project - San Francisco. Highlights: Long oak arch and same material table. This place is both a reception desk and a place for employees to work together like a pretty cafe. Project: Foot Locker - New York. The interior design of this unique project is the map. It is a celebration of the world relief team made of individualized shoelaces.